Ted joined his father, E.J. “Mike’’ Schumann in 1979 when the practice served a variety of small businesses. Within a decade, Ted founded Dental Business Services to serve the business needs of dentists and began exploring related services affecting dental practices. Today Dental Business Services is one of a number of businesses that comprise The DBS Companies, which provides accounting, tax, financial and estate planning, practice brokerage, and practice management services for dentists. In 1989 Ted started what has become one of his passions, organizing educational seminars for dentists and dental students. He is a frequent speaker at dental trade associations around the country and is regular lecturer at the University of Michigan Dental School and at the University of Detroit-Mercy Dental School. Ted also is a contributor to numerous dental industry publications around the country. Ted formed DBS Professional Practice Brokers in 1993. It serves the interests of dentists who are in the market to buy or sell dental practices. In 1996 he was one of the founding members of American Dental Sales, a professional trade association that maintains the largest existing database of dental practice sales. He has expanded into personal consulting for dentists who require professional coaching. 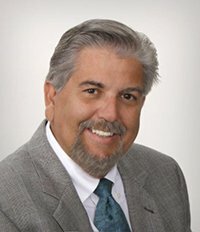 Ted is a 1977 graduate of Western Michigan University, a Certified Public Accountant, a Certified Business Counselor and a Certified Financial Planner™. Jack joined Ted in founding Dental Business Services in 1989, and helped the company grow its tax and estate planning division of the company. Dental Business Services handles the tax affairs for its clients from individual returns, partnership returns and corporate returns, and serves as our client’s representatives involving local, state and federal taxing agency issues when needed. Jack is a 1992 graduate of Northwood Institute, Midland Michigan, receiving an Associate’s degree in Business and Accounting and a Bachelor’s degree in Business Administration. In 2002, he received his Master of Science in Taxation from Walsh College in Troy Michigan. In April of 2006 he was enrolled to practice before the Internal Revenue Service as an Enrolled Agent. Jack also represents the company in the community as the Finance Director of the Bay City Fireworks Festival, one of Michigan’s largest Firework Festivals. This year-round planning and fund raising effort brings great joy for him and the company bringing this fabulous event to the area in celebration of our Nation’s independence each year! A third generation financial planner, Theodore C. Schumann, II, MBA, MSF, CFP®, AIF®, is an Investment Advisor Representative and managing partner of DBS Investment Advisers, LLC. From portfolio management to comprehensive retirement and financial planning, debt-reduction strategies and fiduciary client service, Schumann serves as a direct point of contact for DBS investment services. 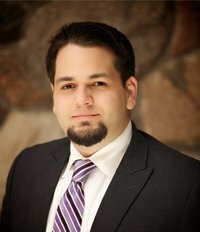 Ted is a graduate of Central Michigan University and earned his MBA and Master of Finance from Walsh College. Sarah strives to provide step-by-step coordination of practice transitions for a smooth experience for doctors, staff and patients alike. With over 15 years of experience with the DBS firm, she has gained a broad perspective of working in accounting, brokerage, consulting and loan coordination and currently represents clients in northern and western Michigan during the practice brokerage process. Randy has been with Ted Schumann, CPA, CFP® and the brokerage firm since its inception. She has extensive experience in the professional placement field and public relations. 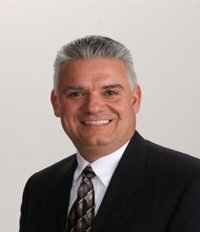 Randy is a dynamic personality and an excellent communicator serving southeast Michigan, Metro Detroit & Ann Arbor areas, as well as other locations by referral / request. During transitions, Randy presents a seminar she developed for the doctors and staff to minimize the complication of transition. As a veteran of both practice sales and acquisitions, Randy has provided consulting to clients in areas of transition, marketing and communication skills. She works with clients as well in emergency planning to prepare doctor, staff and spouses for practice protection. 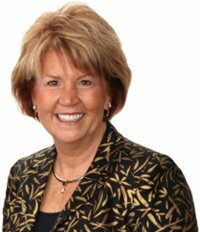 Donna Rosebush, a member of The DBS Companies team, is a motivational management and business consultant providing customized services and training programs for the dental profession. As a graduate of the University Of Rochester School of Dentistry, New York, followed by an internship at The Eastman Dental Center, Donna is recognized for her wealth of knowledge within the dental field and as a dynamic Practice Management Consultant and public speaker. She has been honored to speak for the national Academy of Dental CPAs, the Michigan Dental Association, the TBTI Dental Study Club, and numerous other dental societies. With 25 years of practical dental office management, clinical experience, along with an infectious enthusiasm, Donna has successfully guided scores of dental teams, both in general and specialty practices. She currently serves clients throughout the Midwest, helping them to recognize and reach their true potential by implementing systems and maximizing the abilities of the dental team. 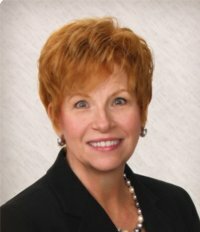 Donna has also achieved national certification as a Bent Ericksen and Associates representative and is one of Michigan’s only consultants specializing in employee law compliance under this program. 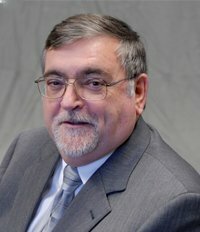 Bent Ericksen & Associates, the leader in employment law compliance and human resources products and support services, makes this unique certification program available to selected industry consultants throughout the United States. The certification program allows consultants to become more personally active in supporting their healthcare professional clients in the area of employment law compliance. Dr. Dan Peters practiced dentistry with his wife and partner Deb in Grand Rapids for 18 years. During that time and under the continual guidance of DBS, Peters Family Dentistry grew from a very small old fashioned storefront office to a large modern office. Unfortunately, a severe wrist injury prematurely ended Dan’s clinical career in 2012; Peters Family Dentistry continues on with Deb Peters working along with an associate dentist while Dan continues to handle many of the macro management duties for the practice. Dan and Deb continue to be accounting, tax, and investment services clients of DBS. Peters Family Dentistry is one of DBS’s model practices from a production, collection, patient care centered, and profitability standpoint. Perhaps most importantly, Dan and Deb have managed to strike a comfortable balance between work and their family life all along. Dr. Dan joined the team at DBS in late 2013 as a Job Coach/Lifestyle Coach to Dentists. He works almost exclusively with his colleague dentists to remove barriers that exist between the dentist and their desire for greater success. If you ask Dan what he does for his clients, he would tell you that he is a coach, friend, mentor, teacher, colleague, and accountability partner both in business and personal/family areas. Dan is passionate about dentistry and sees his work at DBS as his opportunity to give back to the profession that he loves so much. He is very easy going and low pressure. Please give Dan a call or drop him an email if you have anything you’d like to talk about. Whether it leads to a future business relationship or not, Dan loves to make friends with his colleagues. Britni started with Dental Business Services Inc. in November 2011. 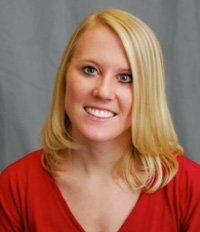 She started as an accounting assistant and was finishing up her bachelor’s degree in accounting from Northwood University. With hard work and dedication, she was able to complete her degree and advanced to staff accountant in 2013. She is always striving to continue to learn and stay educated, so once she became a staff accountant, she started studying for the CPA test. Once she passes all four parts of the CPA exam, she went to Keller University for her master’s certificate in financial analysis and graduated with a 4.0 GPA. She has since been promoted to accounting manager. Her next goal is to take the CFP® exam to also become a CERTIFIED FINANCIAL PLANNER™. 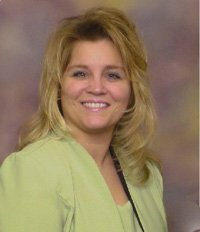 Debbie Love joined DBS in 2004 as the manager of the accounting department, and in July of 2015, she transitioned into the position of new client manager. She strives to provide exemplary client service while building lasting relationships with clients. She guides new clients through the set-up process then works with them between 9-12 months before transitioning them to one of our staff accountants. She continually makes this a seamless process. Debbie also prepares monthly and annual accounting and financial statements, as well as, corporate and partnership tax returns. 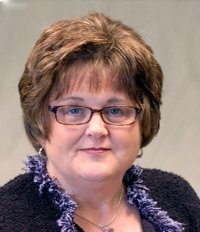 With over 32 years of experience in public accounting and being a Bonded Michigan Notary Public since 2001, Debbie is truly an asset to the DBS team. Donna Rosebush listened to our needs intently and adapted her ideas to our situation. Her constructive, well-thought-out advice, excellent communication skills, and organization provide for a wonderful working relationship. Donna is a person of great integrity and devotion and was well accepted by our large staff. Within months we were seeing success with the changes she guided us through. It is with great pleasure that we give her high recommendations. Ted Schumann has been managing our accounting and management dental needs throughout our entire career including, handling the practice sale. It’s been great working with someone who is so knowledgeable in the dental field. We did not have to wait for an answer or pay Ted to do the research answers. Due to his vast experience in the field, he already knows the answers. The final Chapter, the Practice sale, went so smoothly. He has a super and well trained staff. What a way to end a career working with a superb accounting and practice brokerage firm! Thank you, Ted Schumann, and all those who work at DBS, for your help over the past 40 plus years! I have had the opportunity this past year to work with Sarah Pajot, my transition specialist at DBS, in the acquisition of a dental practice. She has been an excellent adviser and advocate; Sarah is thorough and diligent. She has been a great asset through the entire process. I could not be happier… Prior to consulting with DBS, I had become quite frustrated with the lack of advice from my accountant and retirement plan advisors, resulting in an excessive tax burden for nearly 15 years! I give DBS an A+ rating for their knowledge and expertise related to the operation of a dental practice. They are a great firm to do business with and treat their clients as if you’re family. It was a great pleasure to work with Randy Daigler during the sale of my forty year old dental practice. She first got to know me well and then was able to determine my desires. Randy's professionalism and diligent work resulted in my finding the perfect fit for my patients and staff. - Gregory A. Gorga, D.D.S. I highly recommend DBS as a financial consultant and Sarah Pajot as a very capable and personable agent in the sale or purchase of a practice. My experience was very positive, as was the purchaser's. She made what was difficult for me into an easy and very satisfying process. Sarah Pajot and DBS did a great job of finding potential buyers for my dental practice. Sarah is also very gifted at problem solving the sticking points that inevitably arise to bring the buyer and seller together and ultimately to a win-win agreement. Thank you. Everything has worked out great! Recently I was able to retire from my dental practice of 35 years with the help of The DBS Companies. Their transition specialist, Sarah Pajot, was able to help me in every facet of the sale of the practice and dental building. Her knowledge of the process, the attention to details, and her pleasant manner made me feel comfortable throughout all of the transition steps. I feel that my patients and staff will be well served by the way it was handled. It was certainly a pleasure working with The DBS Companies. Working with DBS, the practice transition was very smooth. Sarah takes the seller, the purchaser, and the staff by the hand and walks them through every necessary move. They include specialized seminars given by DBS professionals, all the necessary Paperwork, in order to keep everyone knowing the correct steps to take for a successful transition for the practice and the patients.